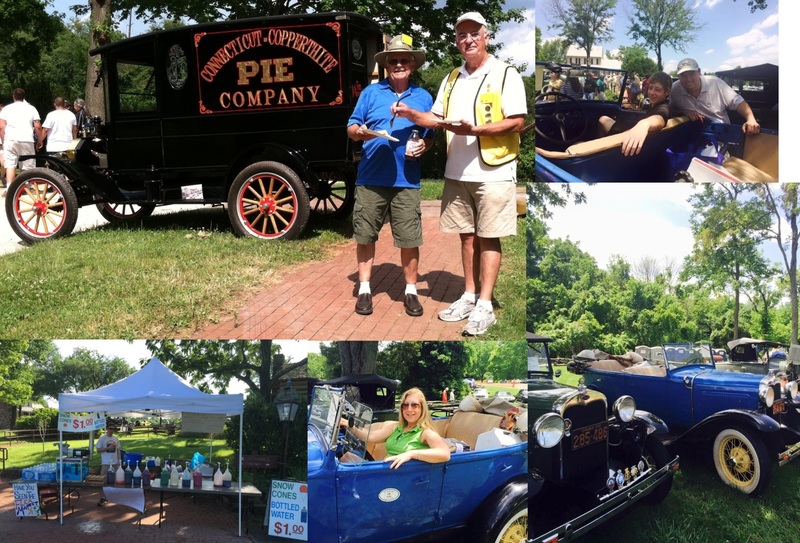 No better time then now to get ready for the 43rd annual Father's Day Antique Car Show at Sully Historic site in Chantilly, VA. The non-GWC events are listed for your planning guidance only, and GWC can not guarantee accuracy. Please check with the appropriate source for updates and corrections and to verify that the events are still going to be held. Your comments are welcome; however, the GWC webmaster will not be able to respond to inquires for additional information regarding non-club events on this calendar. 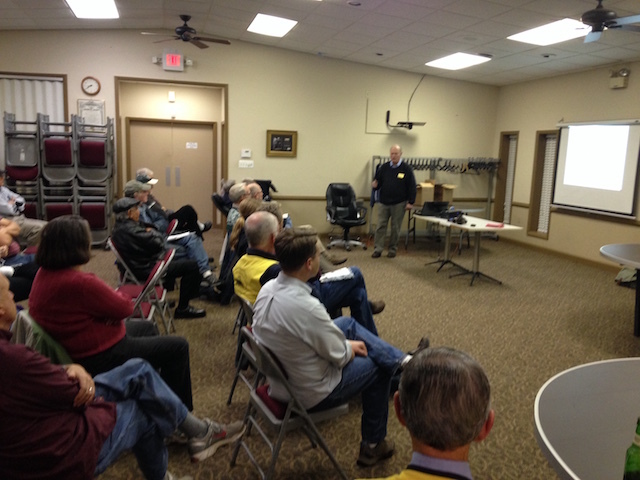 January 21, 2015 Monthly Membership Meeting, 7:45 pm, American Legion Hall, 1355 Balls Hill Road, McLean, Virginia. Visitors welcome. Its our classic indoor swap meet! February 18, 2015 Monthly Membership Meeting, 7:45 pm, American Legion Hall, 1355 Balls Hill Road, McLean, Virginia. Visitors welcome. Hubcap Extravaganza: bring you ugliest "Model A" Hubcap and the story behind it. This will be followed up with proper/correct installation of hubcaps and end with a short presentation on Carburetor Taps, their sizes and locations. February 22, 2015 Sandy & Clem's Old Car & Train Day, See Script for details. March 15, 2015 National Saint Patricks's Day Parade. We have 4 interested members in going. (Jason, Reed, Doug and Jim). Contact Jim if interested in joining the fun. April 15, 2015 Monthly Membership Meeting, 7:45 pm, American Legion Hall, 1355 Balls Hill Road, McLean, Virginia. Visitors welcome. Lead up to Small Parts Day. May 20, 2015 Monthly Membership Meeting, 7:45 pm, American Legion Hall, 1355 Balls Hill Road, McLean, Virginia. Wine Tasting! Preparing for the Willowcroft jaunt! May 23, 2015 "Rolling Chef" tour to Willowcroft Winery. This will be a manifold cooking contest, so get your favorite recipe, work up a presentation and find a wine to pair your offering with from Willowcroft's web page. May 25, 2015 National Memorial Day Parade; We will be participating in the National Memorial Day Parade. We need a completed and signed form all participants. Use "Model 'A' Ford Club" as the name of the organization. You may mail, FAX or email a completed form to me so that I can collate them and mail them to the organizers. Remember: we need a signed form for each person who wants to be in the parade, as a driver OR a passenger. Get these forms back to me as soon as you can; I have to mail back to the organizers by May 10. We need open cars for WWII vets to ride in, so please join us if you have an open car. Our caravan will depart from the Pan Am Shopping Center in Fairfax at approximately 10:30 AM; the parade runs from 2:00 PM until about 4:15 PM. We will be finished about 3:00 PM. Click HERE for the form. 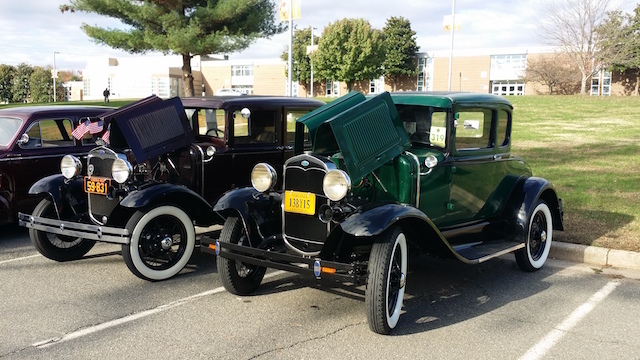 June 21, 2015 Sully Fathers Day Antique Car Show, 3650 Historic Sully Way, Chantilly, Virginia. June 21-26, 2015 MARC Meet; Niagara Falls; See magazine for details. June 27, 2014 Annual Picnic at the Jaeger's Riverfront Home at: 811 Bay Street Woodbridge, VA.
July 4, 2015 Independence Day; National Independence Day Parade; Details when available. Sign up now with Jim Gray. July 4, 2015 Shepherdstown WV's 4th of July parade. Registration form can be found at: Reg Form and for more info contact Peter Smith at pvsmith@frontiernet.net or 304-876-1139. July 15, 2015 Monthly Membership Meeting, 7:45 pm, American Legion Hall, 1355 Balls Hill Road, McLean, Virginia. Outdoor Swap Meet. September 12, 2015 Trip to Morven Park in Leesburg. Tour size limited to 18 people. Lunch at the Tuscarora Mill. September 18-20, 2015 Apple Butter Festival; Skyland Resort, Shenandoah National Park. Janet is organizing again. September 26, 2015 Club Picnic at the Warhursts! 5709 Quietbrook Road, Fairfax, Virginia, 10 AM till 3 PM. Details on cost and what to bring in the Script. Notice this is a Saturday this year. October 24, 2015 Annandale "Fall Festival" parade. October 25, 2015 "There's no There There" tour. Snickersville Turnpike. John Leydon's garage. Bluemount, picnic lunch at Jim and Edna Cross. December 5, 2015 GWC Christmas Party. Details in the last few Monthly Script Newsletters. December 16, 2015 Monthly Membership Meeting, 7:45 pm, American Legion Hall, 1355 Balls Hill Road, McLean, Virginia. Our annual brown bag gift exchange! Copyright© 2019 George Washington Chapter, Inc.
Disclaimer - This page is not affiliated with the Ford Motor Company in any way.